NEW YORK, NY--(Marketwire - November 21, 2008) - According to Balestriere Lanza PLLC, the Gameologist Group LLC (Gameologist), a New Jersey based and minority-owned small business, filed a complaint in New Jersey Federal District Court, suing the New York Lottery (the Lottery) and Scientific Games, Inc. (Scientific Games), for infringing on its trademark. Gameologist developed the lottery scratch-off game BLING BLING™ (the Mark) and duly registered the Mark with the United States Patent and Trademark Office in 2003. Gameologist met with representatives of Scientific Games in 2003 and had correspondence with the Lottery in 2004. According to the Complaint filed today, both companies pretended that they were not interested in the Mark, claiming, at the time, that it was "too ethnic" and "did not meet lottery salability standards." Yet, the Complaint states that over the following three years, the Lottery and Scientific Games conspired to use Gameologist's Mark without entering into a licensing agreement with Gameologist -- infringing on Gameologist's protected intellectual property. 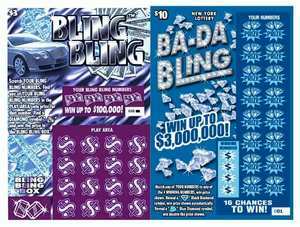 According to the Complaint, in December 2007, the Lottery released a new instant scratch-off game called "BADA BLING," which was virtually an exact replica of Gameologist's concept and utilized the dominant trademarked word BLING. Additionally, the new game was manufactured by none other than Scientific Games, one of the Lottery's primary vendors. The Complaint states that upon discovering the infringement, Gameologist approached the Lottery to resolve the situation amicably, seeking a reasonable licensing agreement for the use of its Mark. However, according to the Complaint, the Lottery refused. Instead, the Complaint says, they encouraged Gameologist to sue, which the small business was forced to do. Gameologist's lawyer, Craig Stuart Lanza of New York's Balestriere Lanza PLLC, said, "This small company is due millions of dollars in damages under the Lanham Act. This case is about two large companies stealing a small business's protected property, believing, wrongly, that Gameologist would not have the means to sue. We look forward to pushing this case to trial to obtain justice for Gameologist, and to give large companies pause before they try stealing intellectual property developed by small, hard-working companies simply trying to pursue the American dream." The Lottery has a run rate of 16 million tickets for BADA BLING at $10.00 each, totaling one hundred and sixty million dollars in revenue for lottery. The Lottery retains 15% of revenue for administrative expenses, thus earning as much as $24 million in profits to be paid for administrative expenses, benefits and vendor fees. Last year, the Lottery had revenue in excess of seven billion dollars. Gameologist is suing the Lottery for its rightful share of the $24 million plus treble damages for willfully infringing on and abusing the Mark. Gameologist Group LLC is a New Jersey based, game design company specializing in casino style games and gaming products. Balestriere Lanza PLLC is a trials and investigations law firm. They represent individuals, companies and institutions in criminal and civil matters in trial and appellate courts, in intense negotiations, during arbitrations, and before grand juries, securities regulators, and government agencies. The firm is unique: unlike most firms, they combine a complex and sophisticated litigation background and hard-nosed negotiation experience with the willingness and ability to push cases to trial and win. Their offices are located at 225 Broadway, Suite 2900, New York, NY 10007. Side-by-side comparison of the BLING BLING instant game and the BADA BLING instant game.